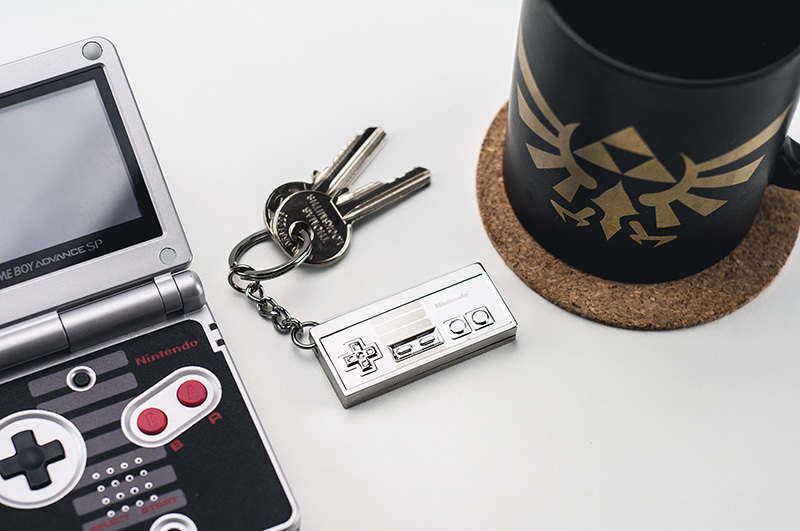 A smart and stylish accessory for fans of retro gaming this NES 3D Metal Keyring features the iconic NES controller in shiny chrome. Take this with you on your next adventure and keep your keys together. Perfect for lovers of the golden era of gaming when the NES was the most coveted console around the globe, this accessory is great for use as a keyring or a bag charm and comes with a keychain attachment. Released in the USA in 1985 and Europe in 1986/87 the Nintendo Entertainment System – NES – was one of the most iconic games consoles in the history of gaming. The NES was so successful, with popular games such as Metroid, Super Mario Bros and Donkey Kong, that it is said to have revitalised the US video game industry after the video game crash of 1983. So popular was the NES that in 2009 it was named the single greatest video game console in history by IGN. The NES 3D Metal Keyring is an officially licensed Nintendo product.